a. The .eu domain is also used, as it is shared with other European Union member states. The .ax domain is reserved for the autonomous province of the Åland Islands. Finnish: Suomi (help·info); Swedish: Finland), officially the Republic of Finland, is a Nordic country situated in the Fennoscandian region of Northern Europe. It is bordered by Sweden in the west, Norway in the north and Russia in the east, while Estonia lies to its south across the Gulf of Finland. Astuvansalmi rock paintings at Saimaa. The oldest date from 3000 to 2500 BCE. The name "Finland" appears on three rune-stones. Two were found in the Swedish province of Uppland and have the inscription finlonti (U 582). The third was found in Gotland, in the Baltic Sea. It has the inscription finlandi (G 319) and dates from the 13th century. The name Suomi (Finnish for "Finland") has uncertain origins, but a candidate for a cognate is the Proto-Baltic word *źemē, meaning "land". In addition to the close relatives of Finnish (the Finnic languages), this name is also used in the Baltic languages Latvian and Lithuanian. Alternatively, the Indo-European word *gʰm-on "man" (cf. Gothic guma, Latin homo) has been suggested, being borrowed as *ćoma. The word originally referred only to the province of Finland Proper, and later to the northern coast of Gulf of Finland, with northern regions such as Ostrobothnia still being sometimes excluded until later. Earlier theories suggested derivation from suomaa (fen land) or suoniemi (fen cape), and parallels between saame (Sami, a Finno-Ugric people in Lapland) and Häme (a province in the inland) were drawn, but these theories are now considered outdated. The modern boundaries of Finland actually only came to use after the end of Sweden-Finland. What was signed over to Russia in 1809 was not so much as a "Finland" as six counties, Åland, and a little part of Västerbotten County. The boundary between the new Grand Duchy of Finland and the remaining part of Sweden could have been drawn along the river Kemijoki, which was the boundary between Västerbotten County and Österbotten County (Ostrobothnia) at the time - which the Swedish proposed in the peace negotiations - or along the river Kalix, thereby including the Finnish-speaking part of the Torne Valley - which the Russians proposed. The boundary, which followed the Torne River and the Muonio River to the fells Saana and Halti in the northwest, was a compromise, which later became what the concept of Finland came to stand for - at least after the tsar Alexander I of Russia permitted the parts of Finland located to the east of the Kymi River which were conquered by Russia in 1721 and 1743, called "Old Finland", to be administratively included in "New Finland" in 1812. The Bronze Age (1500–500 BCE) and Iron Age (500 BCE–1200 CE) were characterised by extensive contacts with other cultures in the Fennoscandian and Baltic regions. There is no consensus on when Uralic languages and Indo-European languages were first spoken in the area of contemporary Finland. During the 1st millennium AD, early Finnish was spoken at least in agricultural settlements of Southern Finland, whereas Sámi-speaking populations occupied most parts of the country. During the Protestant Reformation, the Finns gradually converted to Lutheranism. In the 16th century, Mikael Agricola published the first written works in Finnish. The first university in Finland, The Royal Academy of Turku, was established in 1640. Finland suffered a severe famine in 1696–97, during which about one-third of the Finnish population died, and a devastating plague a few years later. In the 18th century, wars between Sweden and Russia led to the occupation of Finland twice by Russian forces, wars known to the Finns as the Greater Wrath (1714–21) and the Lesser Wrath (1742–43). By this time Finland was the predominant term for the whole area from the Gulf of Bothnia to the Russian border. On 29 March 1809, having been taken over by the armies of Alexander I of Russia in the Finnish War, Finland became an autonomous Grand Duchy in the Russian Empire until the end of 1917. In 1811 Alexander I incorporated Russian Vyborg province into the Grand Duchy of Finland. During the Russian era, the Finnish language began to gain recognition. From the 1860s onwards, a strong Finnish nationalist movement known as the Fennoman movement grew. Milestones included the publication of what would become Finland's national epic – the Kalevala – in 1835, and the Finnish language's achieving equal legal status with Swedish in 1892. Soviet approval of Finland's independence (in Russian). After the 1917 February Revolution, the position of Finland as part of the Russian Empire was questioned, mainly by Social Democrats. Since the head of state was the Czar of Russia, it was not clear who the chief executive of Finland was after the revolution. The parliament, controlled by social democrats, passed the so-called Power Act to give the highest authority to parliament. This was rejected by the Russian Provisional Government and by the right-wing parties in Finland. The Provisional Government dissolved the parliament by force, which the social democrats considered illegal, since the right to do so had been stripped from the Russians by the Power Act. On 27 January 1918, the official opening shots of the war were fired in two simultaneous events. The government started to disarm the Russian forces in Pohjanmaa, and the Social Democratic Party staged a coup. The latter succeeded in controlling southern Finland and Helsinki, but the white government continued in exile from Vaasa. This sparked the brief but bitter civil war. The Whites, who were supported by Imperial Germany, prevailed over the Reds. After the war, tens of thousands of Reds and suspected sympathizers were interned in camps, where thousands died by execution or from malnutrition and disease. Deep social and political enmity was sown between the Reds and Whites and would last until the Winter War and beyond. The civil war and activist expeditions into the Soviet Russia strained Eastern relations. After a brief flirtation with monarchy, Finland became a presidential republic, with Kaarlo Juho Ståhlberg elected as its first president in 1919. The Finnish–Russian border was determined by the Treaty of Tartu in 1920, largely following the historic border but granting Pechenga (Finnish: Petsamo) and its Barents Sea harbour to Finland. Finnish democracy did not see any Soviet coup attempts and survived the anti-Communist Lapua Movement. The relationship between Finland and the Soviet Union was tense. Germany's relations with democratic Finland cooled also after the Nazis' rise to power. Army officers were trained in France, and relations to Western Europe and Sweden were strengthened. Areas ceded by Finland to the Soviet Union after the Winter War in 1940 and the Continuation War in 1944. The Porkkala land lease was returned to Finland in 1956. Finland covered an area of approximately 385,000 km2 (149,000 sq mi) before the handover. 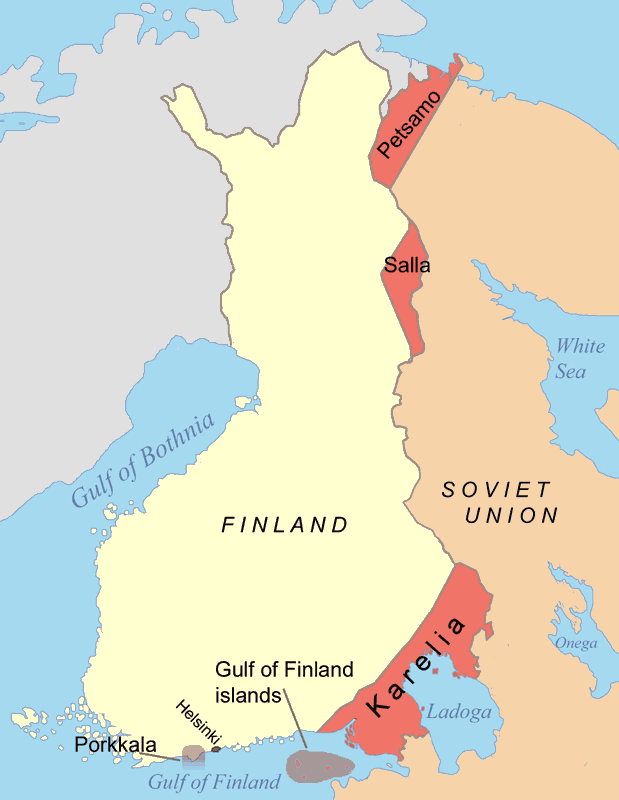 During World War II, Finland fought the Soviet Union twice: in the Winter War of 1939–40 after the Soviet Union had attacked Finland; and in the Continuation War of 1941–44, following Operation Barbarossa, in which Germany invaded the Soviet Union. For 872 days, the German army besieged Leningrad, the USSR's second largest city. The siege of Leningrad resulted in the deaths of some one million of the city's inhabitants. Finnish troops controlled some of the areas around the city but refused to attack or let Germans use those areas for attack; whether they should be said to have helped in the siege or refused to help is controversial. After fighting a major Soviet offensive in June/July 1944 to a standstill, Finland reached an armistice with the Soviet Union. This was followed by the Lapland War of 1944–45, when Finland forced the Germans out of northern Finland. The treaties signed in 1947 and 1948 with the Soviet Union included Finnish obligations, restraints and reparations—as well as further Finnish territorial concessions begun in the Moscow Peace Treaty of 1940. As a result of the two wars, Finland was forced to cede most of Finnish Karelia, Salla and Petsamo, which amounted to 10% of its land area and 20% of its industrial capacity, including the ports of Vyborg (Viipuri) and ice-free Liinakhamari (Liinahamari). Almost the whole population, some 400,000 persons, fled these areas. Finland was never occupied by Soviet forces and retained its independence, however at a loss of about 93 000 soldiers killed, by proportion the third-highest loss rate in World War II. Finland rejected Marshall aid, in apparent deference to Soviet desires. However, the United States provided secret development aid and helped the still non-communist Social Democratic Party in hopes of preserving Finland's independence. Establishing trade with the Western powers, such as the United Kingdom, and the reparations to the Soviet Union caused Finland to transform itself from a primarily agrarian economy to an industrialised one. For example, the Valmet corporation was founded to create materials for war reparations. Even after the reparations had been paid off, Finland—poor in certain resources necessary for an industrialized nation (such as iron and oil)—continued to trade with the Soviet Union in the framework of bilateral trade. In 1950, half of the Finnish workers were occupied in agriculture and a third lived in urban areas. The new jobs in manufacturing, services and trade quickly attracted people to the towns. The average number of births per woman declined from a baby boom peak of 3.5 in 1947 to 1.5 in 1973. When baby-boomers entered the workforce, the economy did not generate jobs fast enough, and hundreds of thousands emigrated to the more industrialized Sweden, with emigration peaking in 1969 and 1970. The 1952 Summer Olympics brought international visitors. Finland took part in trade liberalization in the World Bank, the International Monetary Fund and the General Agreement on Tariffs and Trade. Urho Kekkonen, the eighth president of Finland. Finland introduced the currency of the Eurozone, the euro, in 2002. Lying approximately between latitudes 60° and 70° N, and longitudes 20° and 32° E, Finland is one of the world's northernmost countries. Of world capitals, only Reykjavik lies more to the north than Helsinki. The distance from the southernmost—Hanko—to the northernmost point in the country—Nuorgam—is 1,160 kilometres (720 mi). Finland is a country of thousands of lakes and islands—187,888 lakes (larger than 500 m2/0.12 acres) and 179,584 islands. Its largest lake, Saimaa, is the fourth largest in Europe. The area with most lakes is called Finnish Lakeland. The greatest number of islands are to be found in the southwest in the Turku archipelago. Further from the coast lies Ahvenanmaa or Åland (in Swedish) Islands. The Whooper Swan, Finland's national bird. Forest covers 86% of the country's area, the largest forested area in Europe. The forest consists of pine, spruce, birch and other species. Finland is the largest producer of wood in Europe and among the largest in the world. Finland has a humid and cool semi-continental climate, characterized by warm summers and freezing winters. The climate type in southern Finland is north temperate climate. Winters of southern Finland (average day time temperature is below 0 °C/32 °F) are usually 4 months long, and the snow typically covers the land from middle of December to early April. On the southern coast, the snow can melt several times during the early winter before a lasting cover is established. The coldest winter days of southern Finland can be as low as −40 °C (−40 °F), and the warmest days of July and August can be as high as 35 °C (95 °F). Arctic tundra proper is not found in Finland; Finland lies almost exactly on the taiga belt, being covered in boreal forest. Alpine tundra can be found in the mountainous Lapland, and oak grows in the southernmost islands and coast. A typical Finnish winter scene. Summer in Koli National Park, Lieksa. Climatic summers of the southern Finland last 4 months (from mid May to mid September). In northern Finland, particularly in Lapland, a subarctic climate dominates, characterized by cold—occasionally severe—winters and relatively warm, short summers. Winters in north Finland are nearly 7 months long, and snow covers the lands almost 6 months, from October to early May. Summers in the north are quite short, only two to three months. The Finnish climate is suitable for grain farming in the southernmost regions but not farther north. Finland consists of 19 regions called maakunta in Finnish and landskap in Swedish. The regions are governed by regional councils, which serve as forums of cooperation for the municipalities of a region. The main tasks of the regions are regional planning and development of enterprise and education. In addition, the public health services are usually organized on the basis of regions. Currently, the only region where a popular election is held for the council is Kainuu. Other regional councils are elected by municipal councils, each municipality sending representatives in proportion to its population. In addition to inter-municipal cooperation, which is the responsibility of regional councils, each region has a state Employment and Economic Development Centre, which is responsible for the local administration of labour, agriculture, fisheries, forestry and entrepreneurial affairs. The Finnish Defence Forces regional offices are responsible for the regional defence preparations and for the administration of conscription within the region. The region of Eastern Uusimaa was consolidated with Uusimaa on January 1, 2011. A steam boat on Lake Päijänne leaving Jyväskylä, the capital of Central Finland. In the following chart, the number of inhabitants includes those living in the entire municipality (kunta/kommun), not just in the built-up area. The land area is given in km², and the density in inhabitants per km² (land area). The figures are as of Error: Invalid time.. The capital region – comprising Helsinki, Vantaa, Espoo and Kauniainen – forms a continuous conurbation of one million people. However, common administration is limited to voluntary cooperation of all municipalities, e.g. in Helsinki Metropolitan Area Council. The Constitution of Finland defines the political system. Finland is a parliamentary democracy, and the prime minister is the country's most powerful politician. The constitution in its current form came into force on 1 March 2000, and was amended on 1 March 2012. Citizens can run and vote in parliamentary, municipal, and presidential elections, and in European Union elections. Template:Politics of Finland The 200-member unicameral Parliament of Finland exercises supreme legislative authority. It may alter the constitution and ordinary laws, dismiss the cabinet, and override presidential vetoes. Its acts are not subject to judicial review; the constitutionality of new laws is assessed by the parliament's constitutional law committee. The parliament is elected for a term of four years using the proportional D'Hondt method within a number of multi-seat constituencies. Various parliament committees listen to experts and prepare legislation. The speaker is currently Eero Heinäluoma (Social Democrats). Since universal suffrage was introduced in 1906, the parliament has been dominated by the Centre Party (former Agrarian Union), the National Coalition Party (conservatives) and the Social Democrats. These parties have enjoyed approximately equal support, and their combined vote has totalled about 65–80% of all votes. Their lowest common total of MPs, 121, was reached in the 2011 elections. For a few decades after 1944, the Communists were a strong fourth party. Due to the electoral system of proportional representation, and the relative reluctance of voters to switch their support between parties, the relative strengths of the parties have commonly varied only slightly from one election to another. However, there have been some long-term trends, such as the rise and fall of the Communists during the Cold War; the steady decline into insignificance of the Liberal party and its predecessors from 1906 to about 1980; and the rise of the Green party and its predecessor since 1983. In the 2011 elections, the True Finns achieved exceptional success, increasing its representation from 5 to 39 seats, and thus surpassing the Centre Party. After parliamentary elections, the parties negotiate among themselves on forming a new cabinet (the Finnish Council of State), which then has to be approved by a simple majority vote in the parliament. The cabinet can be dismissed by a parliamentary vote of no confidence, although this rarely happens (the last time in 1957), as the parties represented in the cabinet usually make up a majority in the parliament. The cabinet exercises most executive powers, and originates most of the bills that the parliament then debates and votes on. It is headed by the Prime Minister of Finland, and consists of him or her, of other ministers, and of the Chancellor of Justice. The current prime minister is Jyrki Katainen (National Coalition Party). Each minister heads his or her ministry, or, in some cases, has responsibility for a subset of a ministry's policy. After the prime minister, the most powerful minister is the minister of finance. Around 92% of residents have confidence in Finland's security institutions. The overall crime rate of Finland is not high in the EU context. Some crime types are above average, notably the highest homicide rate in Western Europe. A day fine system is in effect and also applied to offenses such as speeding. Finland has successfully fought against government corruption, which was more common in the 1970s and 1980s. For instance, economic reforms and EU membership introduced stricter requirements for open bidding and many public monopolies were abolished. Today, Finland has a very low number of corruption charges; Transparency International ranks Finland as one of the least corrupt countries in Europe. Also, Finland's public records are among the world's most transparent. Finland is represented in the European Parliament and has been a member of the European Union since 1995. Finland has one of the world's most extensive welfare systems, one that guarantees decent living conditions for all residents, Finns and non-citizens. Since the 80s then social security has been cut back, but still the system is one of the most comprehensive in the world. Created almost entirely during the first three decades after World War II, the social security system was an outgrowth of the traditional Nordic belief that the state was not inherently hostile to the well-being of its citizens, but could intervene benevolently on their behalf. According to some social historians, the basis of this belief was a relatively benign history that had allowed the gradual emergence of a free and independent peasantry in the Nordic countries and had curtailed the dominance of the nobility and the subsequent formation of a powerful right wing. Finland's history has been harsher than the histories of the other Nordic countries, but not harsh enough to bar the country from following their path of social development. The Hamina-class fast-attack craft FNS Hanko of the Finnish Navy. A Leopard 2A4 main battle tank of the Finnish Army on Independence Day. Alternative non-military service for men is possible, as is voluntary military service for women (currently approximately 500 annually). 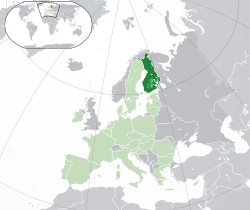 Finland is the only non-NATO EU country bordering Russia. Finland's official policy states that the 350,000 reservists, armed mostly with ground weaponry, are a sufficient deterrent. An F-18 of the Finnish Air Force. The armed forces favour partnerships with Western institutions such as NATO, WEU and the EU, but are careful to avoid politics. Finland's defence budget equals about €2 billion or about 1.4–1.6% of the GDP. Finnish defence expenditure is around the sixth highest in the EU. The armed forces are under the command of the Chief of Defence (currently General Ari Puheloinen), who is directly subordinate to the president in matters related to military command. The branches of the military are the army, the navy and the air force. The border guard is under the Ministry of the Interior but can be incorporated into the Defence Forces when required for defence readiness. Finland's real-terms GDP growth, 1998–2009. Finland's climate and soils make growing crops a particular challenge. The country lies between latitudes 60°N and 70°N, and has severe winters and relatively short growing seasons that are sometimes interrupted by frosts. However, because the Gulf Stream and the North Atlantic Drift Current moderate the climate, Finland contains half of the world's arable land north of 60° north latitude. Annual precipitation is usually sufficient, but it occurs almost exclusively during the winter months, making summer droughts a constant threat. In response to the climate, farmers have relied on quick-ripening and frost-resistant varieties of crops, and they have cultivated south-facing slopes as well as richer bottomlands to ensure production even in years with summer frosts. Most farmland had originally been either forest or swamp, and the soil had usually required treatment with lime and years of cultivation to neutralize excess acid and to develop fertility. Irrigation was generally not necessary, but drainage systems were often needed to remove excess water. Finland's agriculture was efficient and productive—at least when compared with farming in other European countries. Forests play a key role in the country's economy, making it one of the world's leading wood producers and providing raw materials at competitive prices for the crucial wood-processing industries. As in agriculture, the government has long played a leading role in forestry, regulating tree cutting, sponsoring technical improvements, and establishing long-term plans to ensure that the country's forests continue to supply the wood-processing industries. To maintain the country's comparative advantage in forest products, Finnish authorities moved to raise lumber output toward the country's ecological limits. In 1984 the government published the Forest 2000 plan, drawn up by the Ministry of Agriculture and Forestry. The plan aimed at increasing forest harvests by about 3% per year, while conserving forestland for recreation and other uses. Graphical depiction of Finland's product exports in 28 color-coded categories. Finland is part of the Eurozone (dark blue), the EU single market and the Schengen Area. The two existing units of the Olkiluoto Nuclear Power Plant. On the far left is a visualization of a third unit, which, when completed around 2014, will become Finland's fifth nuclear reactor. In 2006, the energy market was around 90 terawatt hours and the peak demand around 15 gigawatts in winter. This means that the energy consumption per capita is around 7.2 tons of oil equivalent per year. Industry and construction consumed 51% of total consumption, a relatively high figure reflecting Finland's industries. Finland's hydrocarbon resources are limited to peat and wood. About 10–15% of the electricity is produced by hydropower, which is little compared to more mountainous Sweden or Norway. In 2008, renewable energy forms (mainly hydropower and various forms of wood energy) made high 30.5% compared to the EU average 10.3% in final energy consumption. Finland has four privately owned nuclear reactors producing 18% of the country's energy, one research reactor at the Otaniemi campus, and the fifth AREVA-Siemens-built reactor—the world's largest at 1600 MWe and a focal point of Europe's nuclear industry—is currently scheduled to be operational by 2014. A varying amount (5–17%) of electricity has been imported from Russia (at around 3 gigawatt power line capacity), Sweden and Norway. Helsinki-Vantaa Airport is Finland's largest and busiest airport. Despite low population density, the Government spends annually around 350 million euro in maintaining 5,865 kilometres (3,644 mi) of railway tracks. Rail transport is handled by state owned VR Group, which has 5% passenger market share (out of which 80% are urban trips in Greater Helsinki) and 25% cargo market share. Since 12 December 2010, Karelian Trains, a joint venture between Russian Railways and VR (Finnish Railways), has been running Alstom Pendolino operated high-speed services between Saint Petersburg's Finlyandsky and Helsinki's Central railway stations. These services are branded as "Allegro" trains. Journey from Helsinki to Saint Petersburg takes only three and a half hours. The majority of international cargo utilizes ports. Port logistics prices are low. Vuosaari Harbour in Helsinki is the largest container port after completion in 2008 and others include Kotka, Hamina, Hanko, Pori, Rauma, and Oulu. There is passenger traffic from Helsinki and Turku, which have ferry connections to Tallinn, Mariehamn and Stockholm. The Helsinki–Tallinn route, one of the busiest passenger sea routes in the world , has also been served by a helicopter line. Finland was rapidly industrialized after the Second World War, achieving GDP per capita levels equal to that of Japan or the UK in the beginning of 1970s. Initially, most development was based on two broad groups of export-led industries, the "metal industry" (metalliteollisuus) and "forest industry" (metsäteollisuus). The "metal industry" includes shipbuilding, metalworking, the car industry, engineered products such as motors and electronics, and production of metals (steel, copper and chromium). The world's biggest cruise ships are built in Finnish shipyards. The "forest industry" (metsäteollisuus) includes forestry, timber, pulp and paper, and is a logical development based on Finland's extensive forest resources (77% of the area is covered by forest, most of it in renewable use). In the pulp and paper industry, many of the largest companies are based in Finland (Ahlstrom, M-real, UPM). However, the Finnish economy has diversified, with expansion into fields such as electronics (e.g. Nokia), metrology (Vaisala), transport fuels (Neste Oil), chemicals (Kemira), engineering consulting (Pöyry) and information technology (e.g. Rovio, known for Angry Birds), and is no longer dominated by the two sectors of metal and forest industry. Likewise, the structure has changed, with the service sector growing, with manufacturing reducing in importance; agriculture is only a minor part. Despite this, production for export is still more prominent than in Western Europe, thus making Finland more vulnerable to global economic trends. Finland has top levels of economic freedom in many areas, although there is a heavy tax burden and inflexible job market. Finland is ranked 16th in the 2008 global Index of Economic Freedom and 9th in Europe. While the manufacturing sector is thriving, the OECD points out that the service sector would benefit substantially from policy improvements. The 2007 IMD World Competitiveness Yearbook ranked Finland 17th most competitive. The World Economic Forum 2008 index ranked Finland the 6th most competitive. In both indicators, Finland's performance was next to Germany, and significantly higher than most European countries. In the Business competitiveness index 2007–08 Finland ranked third in the world. Economists attribute much growth to reforms in the product markets. According to the OECD, only four EU-15 countries have less regulated product markets (UK, Ireland, Denmark and Sweden) and only one has less regulated financial markets (Denmark). Nordic countries were pioneers in liberalizing energy, postal, and other markets in Europe. The legal system is clear and business bureaucracy less than most countries. Property rights are well protected and contractual agreements are strictly honoured. Finland is rated the 6th least corrupted countries in Corruption perception index. and 13th in the Ease of Doing Business Index. This indicates exceptional ease in cross-border trading (5th), contract enforcement (7th), business closure (5th), tax payment (83rd) and low worker hardship (127th). Now lying within Helsinki, Suomenlinna is a UNESCO World Heritage Site consisting of an inhabited sea fortress built on six islands. It is one of Finland's most popular tourist attractions. Outdoor activities range from Nordic skiing, golf, fishing, yachting, lake cruises, hiking, kayaking among many others. At Finland's northernmost point, in the heart of summer, the Sun does not completely set for 73 consecutive days. Wildlife is abundant in Finland. Bird-watching is popular for those fond of avifauna, however hunting is also popular. Elk and hare are common game in Finland. Olavinlinna in Savonlinna hosts the annual Savonlinna Opera Festival. The population of Finland is currently about 5,400,000. Finland has an average population density of 16 inhabitants per square kilometre. This is the third-lowest population density of any European country, behind those of Norway and Iceland. Finland's population has always been concentrated in the southern parts of the country, a phenomenon that became even more pronounced during 20th-century urbanisation. The largest cities in Finland are those of the Greater Helsinki metropolitan area—Helsinki, Espoo and Vantaa. Other cities with population over 100.000 are Tampere, Turku, Oulu, Jyväskylä and Lahti. Turku Cathedral is the Mother Church of the Evangelical Lutheran Church of Finland. Approximately 4.2 million (or 77.2% at the end of 2011) adherents are members of the Evangelical Lutheran Church of Finland. The Evangelical Lutheran Church of Finland is one of the largest Lutheran churches in the world, although its share of the country's population has declined in recent years. The second largest group, accounting for 20.1% of the population, has no religious affiliation. A small minority belong to the Finnish Orthodox Church (1.1%). Other Protestant denominations and the Roman Catholic Church in Finland are significantly smaller, as are the Muslim, Jewish and other non-Christian communities (totaling 1.5%). The main Lutheran and Orthodox churches are national churches of Finland with special roles such as in state ceremonies and schools. In 2011, 77.9% of Finnish children were baptized and 83.0% were confirmed in 2011 at the age of 15, and nearly all funerals are Christian. However, the majority of Lutherans attend church only for special occasions like Christmas ceremonies, weddings and funerals. The Lutheran Church estimates that approximately 2% of its members attend church services weekly. The average number of church visits per year by church members is approximately two. According to a 2010 Eurobarometer poll, 33% of Finnish citizens responded that "they believe there is a God"; 42% answered that "they believe there is some sort of spirit or life force"; and 22% that "they do not believe there is any sort of spirit, God, or life force". According to ISSP survey data (2008), 8% consider themselves "highly religious", and 31% "moderately religious". In the same survey, 28% reported themselves as "agnostic" and 29% as "non-religious". Finnish family life is centred on the nuclear family. Relations with the extended family are often rather distant and Finnish people do not form politically significant clans, tribes or similar structures. According to UNICEF, Finland ranks fourth in the world in child well-being. After examining the position of women around the world, the Washington-based Population Crisis Committee reported in 1988 that Finland, slightly behind top-ranked Sweden and just ahead of the United States, was one of the best places in which a woman could live. The group reached this conclusion after examining the health, educational, economic, and legal conditions that affect women's lives. Finnish women were the first in Europe to gain the franchise, and by the 1980s they routinely constituted about one-third of the membership of the Eduskunta (parliament) and held several ministerial posts. In the 1980s, about 75% of adult women worked outside the home; they made up about 48% of the work force. Finnish women were as well educated as their male counterparts, and, in some cases, the number of women studying at the university level, for example, was slightly ahead of the number of men. In addition to an expanding welfare system, which since World War II had come to provide them with substantial assistance in the area of childbearing and child-rearing, women had made notable legislative gains that brought them closer to full equality with men. The Equality Law that went into effect in 1987 committed the country to achieving full equality for women. In the late 1980s, there was a timetable listing specific goals to be achieved during the remainder of the twentieth century. The emphasis was to be equality for everyone, rather than protection for women. Efforts were undertaken not only to place women in occupations dominated by males, but also to bring males into fields traditionally believed to belong to the women's sphere, such as child care and elementary school teaching. Another aim was for women to occupy a more equal share of decision-making positions. Finland ranks second in the Global Gender Gap Report 2012. In 1906, Finland was the first nation in the world to give full suffrage (the right to vote and to run for office) to all adult citizens, including women. Finland has general elections every fourth year. 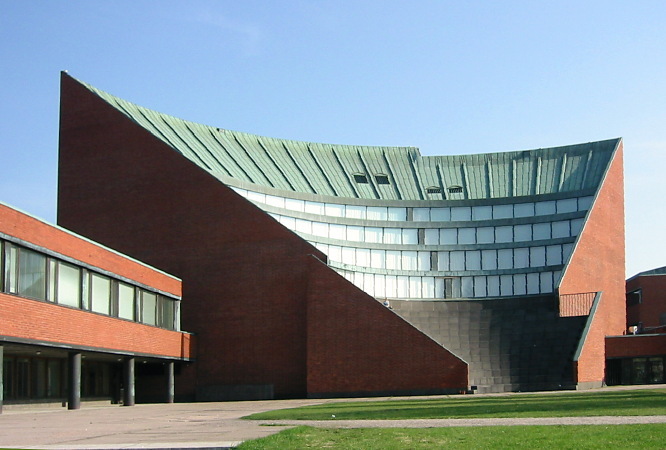 Seminaarinmäki Campus of the University of Jyväskylä, designed by Alvar Aalto. In tertiary education, two mostly separate and non-interoperating sectors are found: the profession-oriented polytechnics and the research-oriented universities. Education is free and living expenses are to a large extent financed by the government through student benefits. There are 20 universities and 30 polytechnics in the country. Helsinki University is ranked 75th in the Top University Ranking of 2010. The World Economic Forum ranks Finland's tertiary education #1 in the world. Around 33% of residents have a tertiary degree, similar to Nordics and more than in most other OECD countries except Canada (44%), United States (38%) and Japan (37%). The proportion of foreign students is 3% of all tertiary enrolments, one of the lowest in OECD, while in advanced programs it is 7.3%, still below OECD average 16.5%. Finland had a long tradition of adult education, and by the 1980s nearly one million Finns were receiving some kind of instruction each year. Forty percent of them did so for professional reasons. Adult education appeared in a number of forms, such as secondary evening schools, civic and workers' institutes, study centres, vocational course centres, and folk high schools. Study centres allowed groups to follow study plans of their own making, with educational and financial assistance provided by the state. Folk high schools are a distinctly Nordic institution. Originating in Denmark in the nineteenth century, folk high schools became common throughout the region. Adults of all ages could stay at them for several weeks and take courses in subjects that ranged from handicrafts to economics. The National Museum of Finland, located in central Helsinki, illustrates Finnish history from prehistoric times to the present day. Much of the Finland's classical music is influenced by traditional Karelian melodies and lyrics, as comprised in the Kalevala. Karelian culture is perceived as the purest expression of the Finnic myths and beliefs, less influenced by Germanic influence than the Nordic folk dance music that largely replaced the kalevaic tradition. Finnish folk music has undergone a roots revival in recent decades, and has become a part of popular music. Today, Finland has a very lively classical music scene. Finnish classical music has existed for only about a hundred years, and many of Finland's important composers are still alive, such as Magnus Lindberg, Kaija Saariaho, Aulis Sallinen and Einojuhani Rautavaara. The composers are accompanied with a large number of great conductors such as Esa-Pekka Salonen, Osmo Vänskä, Jukka-Pekka Saraste and Leif Segerstam. Some of the internationally acclaimed Finnish classical musicians are Karita Mattila, Soile Isokoski, Pekka Kuusisto, Olli Mustonen, Tarja Turunen and Linda Lampenius. Iskelmä (coined directly from the German word Schlager, meaning "hit") is a traditional Finnish word for a light popular song. Finnish popular music also includes various kinds of dance music; tango, a style of Argentine music, is also popular. The light music in Swedish-speaking areas has more influences from Sweden. Modern Finnish popular music includes a number of prominent rock bands, jazz musicians, hip hop performers, and dance music acts. During the early 1960s, the first significant wave of Finnish rock groups emerged, playing instrumental rock inspired by groups such as The Shadows. Around 1964, Beatlemania arrived in Finland, resulting in further development of the local rock scene. During the late 1960s and 1970s, Finnish rock musicians increasingly wrote their own music instead of translating international hits into Finnish. During the decade, some progressive rock groups such as Tasavallan Presidentti and Wigwam gained respect abroad but failed to make a commercial breakthrough outside Finland. This was also the fate of the rock and roll group Hurriganes. The Finnish punk scene produced some internationally acknowledged names including Terveet Kädet in 1980s. Hanoi Rocks was a pioneering 1980s glam rock act that inspired the hit American hard rock group Guns N' Roses. Many Finnish metal bands have gained international recognition. HIM and Nightwish are some of Finland's most internationally known bands. HIM's 2005 album Dark Light went gold in the United States. Apocalyptica are an internationally famous Finnish group who are most renowned for mixing strings-led classical music with classic heavy metal. Other well-known metal bands are Amorphis, Children of Bodom, Impaled Nazarene, Korpiklaani, Sentenced, Sonata Arctica, Stratovarius and Waltari. Linus Torvalds, the Finnish software engineer best known for creating the popular open-source operating system Linux. Around 79% of the population use the Internet. Finland had around 1.52 million broadband Internet connections by the end of June 2007 or around 287 per 1,000 inhabitants. All Finnish schools and public libraries have Internet connections and computers and most residents have a mobile phone. Value-added services are rare. In October 2009, Finland's Ministry of Transport and Communications committed to ensuring that every person in Finland would be able to access the Internet at a minimum speed of one megabit-per-second beginning July 2010. Finnish cuisine is notable for generally combining traditional country fare and haute cuisine with contemporary continental style cooking. Fish and meat play a prominent role in traditional Finnish dishes from the western part of the country, while the dishes from the eastern part have traditionally included various vegetables and mushrooms. 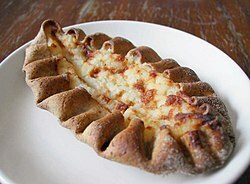 Refugees from Karelia contributed to foods in eastern Finland. A midsummer bonfire (kokko) in Mäntsälä. All official holidays in Finland are established by Acts of Parliament. Christian holidays include Christmas, New Year's Day, Epiphany, Easter, Ascension Day, Pentecost, Midsummer Day (St. John's Day) and All Saints' Day, while secular holidays include May Day and the Independence Day, New Year's Day and Midsummer. Christmas is the most extensively celebrated and at least December 24 to 26 is taken as a holiday. Finland's men's national ice hockey team is ranked as one of the best in the world. The team has won two world championship titles and five Olympic medals. In addition to Kolehmainen and Nurmi, some of Finland's most internationally well-known and successful sportspeople are long-distance runners Ville Ritola and Lasse Virén; ski-jumpers Matti Nykänen and Janne Ahonen; cross-country skiers Veikko Hakulinen, Eero Mäntyranta, Marja-Liisa Kirvesniemi and Mika Myllylä; rower Pertti Karppinen; gymnast Heikki Savolainen; ice hockey players Jari Kurri, Teemu Selänne, and Saku Koivu; football players Jari Litmanen and Sami Hyypiä; alpine skiers Kalle Palander and Tanja Poutiainen; Formula One world champions Keke Rosberg, Mika Häkkinen and Kimi Räikkönen; and four-time World Rally champions Juha Kankkunen and Tommi Mäkinen. The following list contains international comparisons of national performance. The list has a maximum of three years per survey. For a more comprehensive list, see International rankings of Finland. 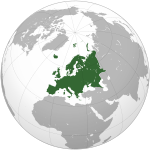 ^ a b Formerly a semi-presidential republic, it is now a parliamentary republic according to David Arter, First Chair of Politics at Aberdeen University. In his "Scandinavian Politics Today" (Manchester University Press, revised 2008), he quotes Jaakko Nousiainen in "From semi-presidentialism to parliamentary government" (Scandinavian Political Studies 24 (2) p.95–109) as follows: "There are hardly any grounds for the epithet 'semi-presidential'." Arter's own conclusions are only slightly more nuanced: "The adoption of a new constitution on 1 March 2000 meant that Finland was no longer a case of semi-presidential government other than in the minimalist sense of a situation where a popularly elected fixed-term president exists alongside a prime minister and cabinet who are responsible to parliament (Elgie 2004: 317)". According to the Finnish Constitution, the president has no possibility to rule the government without the ministerial approval, and does not have the power to dissolve the parliament under his or her own desire. Finland is actually represented by its prime minister, and not by its president, in the Council of the Heads of State and Government of the European Union. The 2012 constitution reduced the powers of the president even further. ^ "VÄESTÖTIETOJÄRJESTELMÄ – REKISTERITILANNE – 30.09.2012" (in Finnish). Population Register Centre. http://vrk.fi/default.aspx?docid=6798&site=3&id=0. Retrieved 17 October 2012. ^ a b c d "Finland". International Monetary Fund. http://www.imf.org/external/pubs/ft/weo/2012/01/weodata/weorept.aspx?pr.x=65&pr.y=7&sy=2009&ey=2012&scsm=1&ssd=1&sort=country&ds=.&br=1&c=172&s=NGDPD%2CNGDPDPC%2CPPPGDP%2CPPPPC%2CLP&grp=0&a=. Retrieved 2012-04-18. ^ a b "KUNTIEN ASUKASLUVUT AAKKOSJÄRJESTYKSESSÄ". Population Register Centre. 31 August 2012. http://vrk.fi/default.aspx?docid=6765&site=3&id=0. Retrieved 16 September 2012. ^ a b "Local Finland—Front page". Local Finland. Helsinki: The Association of Finnish Local and Regional Authorities. Archived from the original on 2010-02-01. http://www.webcitation.org/5nDuLwRH6. Retrieved 1 January 2010. ^ "Tertiary education graduation rates—Education: Key Tables from OECD". OECD iLibrary. 2010-06-14. doi:10.1787/20755120-table1. http://www.oecd-ilibrary.org/education/tertiary-education-graduation-rates_20755120-table1. Retrieved 2011-03-06. ^ "The Failed States Index 2008". Fundforpeace.org. http://web.archive.org/web/20080705111021/http://www.fundforpeace.org/web/index.php?option=com_content&task=view&id=292&Itemid=452. Retrieved 2010-08-26. ^ "The 2009 Legatum Prosperity Index". Prosperity.com. http://www.prosperity.com/country.aspx?id=FI. Retrieved 2010-02-04. ^ "Her er verdens mest konkurransedyktige land—Makro og politikk". E24.no. 2010-09-09. http://e24.no/makro-og-politikk/article3803493.ece. Retrieved 2011-03-06. ^ "National Archives Service, Finland (in English)". http://www.arkisto.fi/. Retrieved 2007-01-22. ^ "A Country Study: Finland—The Finnish Civil War". Federal Research Division, Library of Congress. http://memory.loc.gov/frd/cs/fitoc.html. Retrieved 2008-12-11. ^ Finland 1917–2007 (2007-02-20). "From slash-and-burn fields to post-industrial society—90 years of change in industrial structure". Stat.fi. http://www.stat.fi/tup/suomi90/helmikuu_en.html. Retrieved 2010-08-26. ^ a b c d Finland 1917–2007 (last updated 2007-12-05). "Population development in independent Finland—greying Baby Boomers". Stat.fi. http://www.stat.fi/tup/suomi90/joulukuu_en.html. Retrieved 2010-08-26. ^ Pohjoiset alueet/yleiskuvaus. Oulu.fi. Retrieved on 2012-06-09. ^ Finland's Northern Conditions—Challenges and Opportunities for Agriculture (PDF), p. 4. ^ "Tervetuloa aluehallintoviraston verkkosivuille!" (in Finnish). State Provincial Office. http://www.avi.fi/fi/Sivut/etusivu.aspx. Retrieved June 9, 2012. ^ "Valtioneuvosto päätti Uudenmaan ja Itä-Uudenmaan maakuntien yhdistämisestä" (in Finnish). Ministry of Finance. October 22, 2009. http://www.valtioneuvosto.fi/ajankohtaista/tiedotteet/tiedote/fi.jsp?oid=274585. Retrieved December 30, 2010. ^ a b c d e f g Text from PD source: US Library of Congress: A Country Study: Finland, Library of Congress Call Number DL1012 .A74 1990. ^ Jane's World Armies: Finland. For update: "Finland—Defence Industry (Finland), Defence Industry Country Overview: Summary"; full article by subscription. ^ "Finland in Figures—National Accounts". Statistics Finland. http://www.stat.fi/tup/suoluk/suoluk_kansantalous_en.html. Retrieved 2007-04-26. ^ "Finland in Figures—Manufacturing". Statistics Finland. http://www.stat.fi/tup/suoluk/suoluk_teollisuus_en.html. Retrieved 2007-04-26. ^ "Suomalaisten tulot Euroopan keskitasoa. Hyvinvointipalvelut eivät paranna sijoitusta". Tilastokeskus.fi. 2008-06-09. http://www.tilastokeskus.fi/artikkelit/2008/art_2008-06-09_001.html. Retrieved 2010-08-26. ^ Finland in Figures (last updated 2012-0-26). "Statistics Finland: Labour Market". Tilastokeskus.fi. http://www.tilastokeskus.fi/tup/suoluk/suoluk_tyoelama_en.html. Retrieved 2010-08-26. ^ "Ikääntymisen taloudelliset vaikutukset ja niihin varautuminen" (PDF). 2007. http://www.vnk.fi/julkaisukansio/2007/j10-ikaantymisen-taloudelliset-vaikutukset/pdf/fi.pdf. Retrieved 2010-08-26. ^ Households’ consumption (2007-12-19). "Own-account worker households' consumption has grown most in 2001–2006". Tilastokeskus.fi. http://www.tilastokeskus.fi/til/ktutk/2006/ktutk_2006_2007-12-19_tie_001_en.html. Retrieved 2010-08-26. ^ a b "Olkiluoto 3 nuke start-up delayed until 2014". YLE. 21 December 2011. http://yle.fi/uutiset/news/2011/12/olkiluoto_3_nuke_start-up_delayed_until_2014_3121722.html. Retrieved 12 April 2012. ^ Energy consumption (2007-12-12). "Statistics Finland". Stat.fi. http://www.stat.fi/til/ekul/2006/ekul_2006_2007-12-12_kuv_009_en.html. Retrieved 2010-08-26. ^ "Singapore Tops IT Competitiveness in Asia Pacific, Ranks No. 3 Worldwide". 27 September 2011. http://www.thejakartaglobe.com/seasia/singapore-tops-it-competitiveness-in-asia-pacific-ranks-no-3-worldwide/468002. ^ a b c "Finland economy". Heritage.org. http://web.archive.org/web/20110629041208/http://www.heritage.org/index/country/Finland. Retrieved 2010-08-26. ^ "World Competitiveness Yearbook 2007". Imd.ch. http://web.archive.org/web/20070612031526/http://www.imd.ch/research/publications/wcy/announcing.cfm. Retrieved 2010-08-26. ^ "Corruption Perceptions Index 2009". Transparency.org. http://web.archive.org/web/20110724195224/http://www.transparency.org/policy_research/surveys_indices/cpi/2009/cpi_2009_table. Retrieved 2010-08-26. ^ "Väkiluku sukupuolen mukaan 1750 – 2006 (Excel) (23.3.2007)". Statistics Finland. 2007-03-23. http://tilastokeskus.fi/til/vaerak/2006/vaerak_2006_2007-03-23_tau_001.xls. Retrieved 2012-04-14. ^ "Väestö kielen mukaan 1980–2011". Statistics Finland. 2012-03-16. http://tilastokeskus.fi/til/vaerak/2011/vaerak_2011_2012-03-16_tau_001_fi.html. Retrieved 2012-04-14. ^ a b "Population according to language". Statistics Finland. http://tilastokeskus.fi/til/vaerak/2011/vaerak_2011_2012-03-16_tau_001_en.html. Retrieved 2012-03-16. ^ "Forskningscentralen för de inhemska språken—Teckenspråken i Finland" (in (Swedish)). http://www.kotus.fi/index.phtml?l=sv&s=206. ^ "National Minorities of Finland, The Tatars". Forum.hunturk.net. http://forum.hunturk.net/national-minorities-of-finland-the-tatars-2491.html. Retrieved 2011-12-06. ^ "Language according to age and gender by region 2011". Stat.fi: Statistics – Population structure. Statistics Finland. 2011. http://pxweb2.stat.fi/database/StatFin/vrm/vaerak/vaerak_en.asp. Retrieved 27 March 2012. ^ "Finland in Figures". Statistics Finland. http://tilastokeskus.fi/tup/suoluk/suoluk_vaesto_en.html. Retrieved 2012-04-12. ^ Salla Korpela (May 2005). "The Church in Finland today". Finland Promotion Board; Produced by the Ministry for Foreign Affairs, Department for Communications and Culture. http://finland.fi/Public/default.aspx?contentid=160099&nodeid=41800&culture=en-US. Retrieved 2011-01-11. ^ "Special Eurobarometer Biotechnology" (PDF). Fieldwork: January–February 2010; Publication: October 2010. p. 204. http://ec.europa.eu/public_opinion/archives/ebs/ebs_341_en.pdf. Retrieved 2012-10-16. ^ "Finland Life expectancy at birth—Demographics". Indexmundi.com. 2009-09-17. http://indexmundi.com/finland/life_expectancy_at_birth.html. Retrieved 2010-02-04. ^ "Stillbirths: Where? When? Why? How to make the data count?". The Lancet. http://www.thelancet.com/journals/lancet/article/PIIS0140-6736(10)62187-3/fulltext#article_upsell. Retrieved 2011-12-06. ^ "World Happiness report". 2012. http://www.pakblog.net/2012/04/pakistan-ranked-85th-happiest-nation-in.html. Retrieved 2012-04-07. ^ (1988) "Country Rankings of the Status of Women: Poor, Powerless and Pregnant". Population Briefing Paper, No. 20..
^ Finland was the first nation in the world to give all (adult) citizens full suffrage, in other words the right to vote and to run for office (in 1906). New Zealand was the first country in the world to grant all (adult) citizens the right to vote (in 1893), but women did not get the right to run for the New Zealand legislature until 1919. ^ Kari Sipilä. "A country that innovates". Virtual Finland. Ministry for Foreign Affairs / Department for Communication and Culture / Unit for Promotion and Publications / Embassy and Consulates General of Finland in China. http://web.archive.org/web/20110707031053/http://www.finland.cn/Public/default.aspx?contentid=99637. ^ "Scientific publication—Finnish science and technology Information Service" (in Finnish). Research.fi. 2007-11-15. http://www.research.fi/en/performance/scientific_publication. Retrieved 2010-02-04. ^ "Patents with numbers—Finnish science and technology Information Service" (in Finnish). Research.fi. 2009-12-08. http://www.research.fi/en/performance/patents/patents_with%20numbers. Retrieved 2010-02-04. ^ Shah, Neil (15 April 2012). "Guns N' Roses Can Agree on at Least One Thing: This Finnish Saxophonist Rocks". The Wall Street Journal. http://online.wsj.com/article/SB10001424052702304587704577333813382925678.html. Retrieved 19 November 2012. ^ a b "Media moves". ThisisFINLAND (Ministry for Foreign Affairs of Finland). http://finland.fi/public/default.aspx?contentid=162833&contentlan=2&culture=en-US. ^ "World Press Trends: Newspapers Still Reach More Than Internet". World Association of Newspapers and News Publishers. http://www.wan-ifra.org/press-releases/2011/10/12/world-press-trends-newspapers-still-reach-more-than-internet. Retrieved 19 November 2012. ^ Tässä ovat Suomen suosituimmat lajit | Urheilu. Iltalehti.fi (2012-01-03). Retrieved on 2012-06-09. Finland profile from the BBC News. Key Development Forecasts for Finland from International Futures. Appendix figure 2. The largest groups by native language 2001 and 2011 (Statistics Finland). This is Finland, the official English-language online portal (administered by the Finnish Ministry for Foreign Affairs). Finland Chiefs of State and Cabinet Members (CIA Publications). Finland (University of Colorado at Boulder Libraries Government Publications). This page uses content from the English language Wikipedia. The original content was at Finland. The list of authors can be seen in the page history. As with this Familypedia wiki, the content of Wikipedia is available under the Creative Commons License.